Providing you with Top Quality Used Turf Equipment and Pre-Owned Professional Lawn Equipment is our number one goal!. We have been serving the Grounds Keeping and Golf Course Maintenance Industry since 1992. 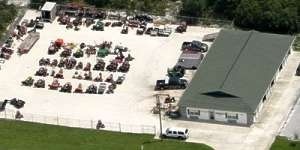 Check back often, our Used Lawn and Turf Equipment inventory changes fast! Copyright © 2019 Lawn and Turf Equipment Pros. Powered by WordPress. Theme: Accelerate by ThemeGrill.